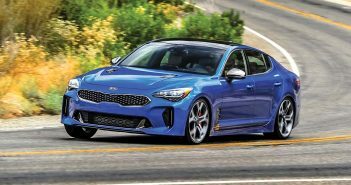 Driving down a quiet road with nothing but acres of fields and farmland might make you wonder if you’re heading in the right direction to find a performance tuning shop. However, once you see the rows of rotary-powered machines lined up facing the street, that doubt quickly evaporates. 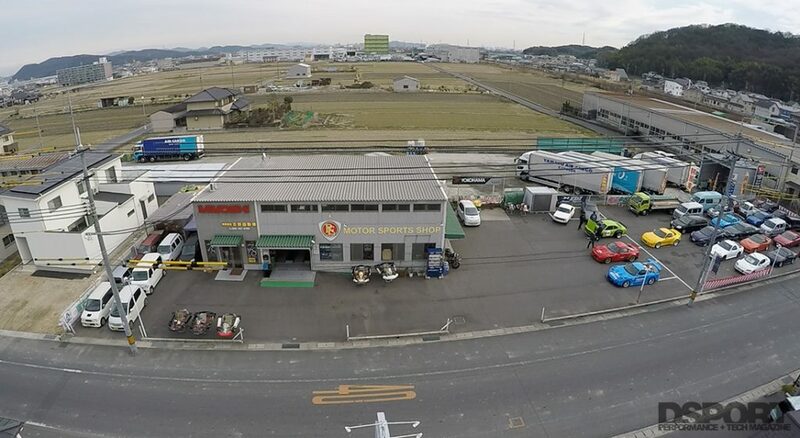 This is the experience of finding RE Pro Shop Miyoshi in Okayama. 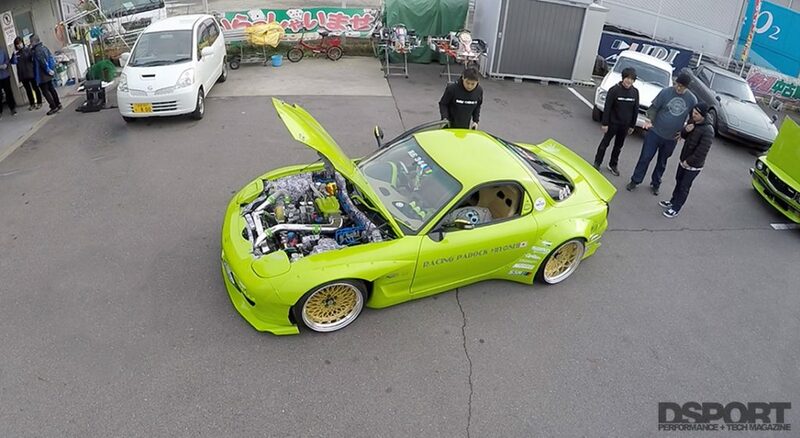 In 2014, to celebrate its 31st anniversary, Miyoshi commissioned the construction of five FD3S Mazda RX7 chassis. 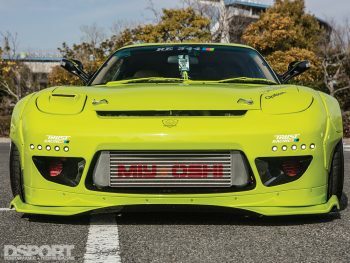 Designated RE344-01 through -05, the term RE344 refers to Miyoshi’s iconic wide body demo car. Each of these machines would be built with a different goal than the next. Some retained twin turbo setups while others switched to large single turbochargers. 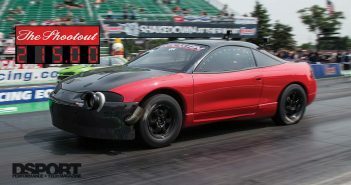 For example, the red RE344-05 build was purposed more for time attack rather than street use. Although each of the RE344s follow unique build paths, there were certain elements common between them. 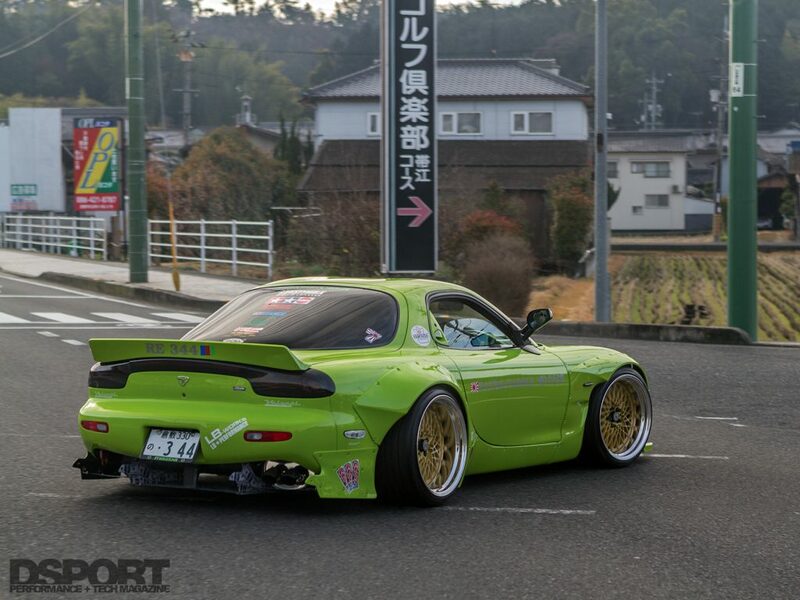 The most obvious shared trait was TRA Kyoto’s Rocket Bunny wide body kit, penned by Kei Miura. The blister-fender style that has taken the industry by storm the last few years continues to resonate with many enthusiasts on both sides of the pond. 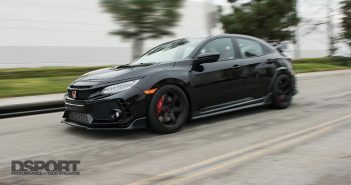 In addition, the first three RE344 chassis roll on aggressively off set, 19-inch SSR Formula Mesh wheels shod with Toyo DRB tires. GReddy PMD adjustable dampers and stiff 24kgf/mm Swift springs close the gaps between the fenders and the rubber. 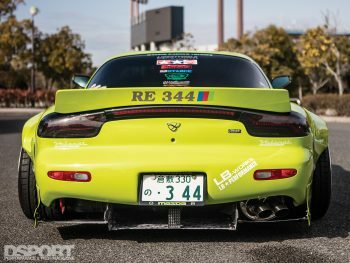 We took a closer look at RE344-01, the first of the series and the company’s current demo car. At first glance, the bright green hue of the exterior might seem over the top. 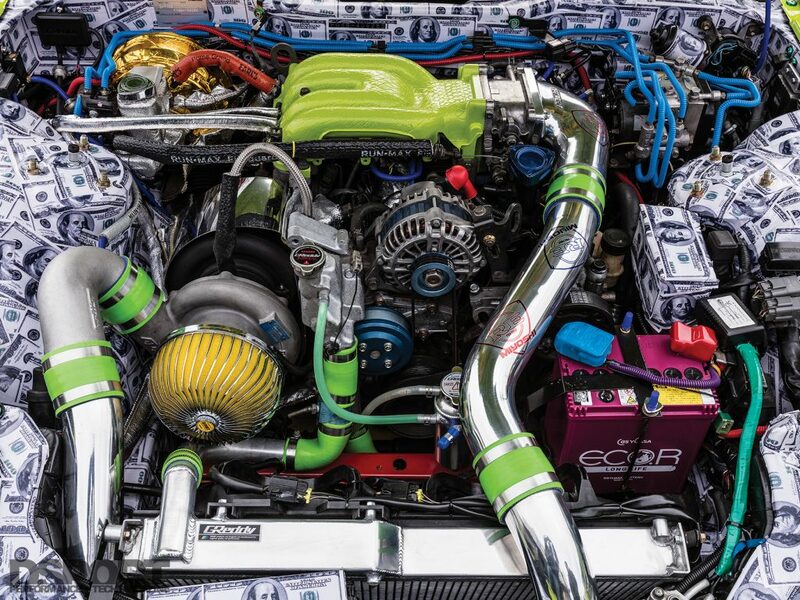 Then, upon opening the hood, a mind-blowing number of US$100 stickers completely cover the engine bay and some of the ancillary components too. 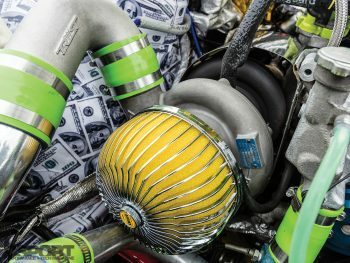 Despite this assault on the senses, a sizable GReddy T88-34D turbocharger can be seen just left of center toward the front of the engine, a reminder of the output potential of this 1.3-liter engine. To drive the turbine and generate boost, high enthalpy gasses collected at the exhaust ports flow into the turbine of the massive T88. From the turbine outlet, the downpipe feeds the spent gasses through an RE Amemiya Twin Dolphin Tail exhaust out to the rear of the chassis. 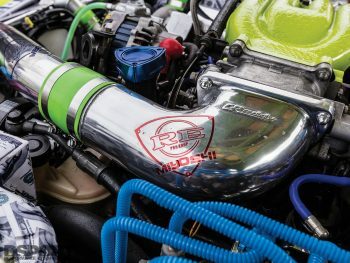 Although this turbocharger is capable of supplying enough boost to develop over 600 horsepower, Miyoshi intended this demo vehicle to represent the roadgoing streetcar. Thus, the RE344-01 has been detuned to a modest 450 horsepower by way of an A’PEXi Power FC engine management system. Inside the cabin of the RE344-01, Miyoshi implemented a makeover that continues the theme from the exterior. 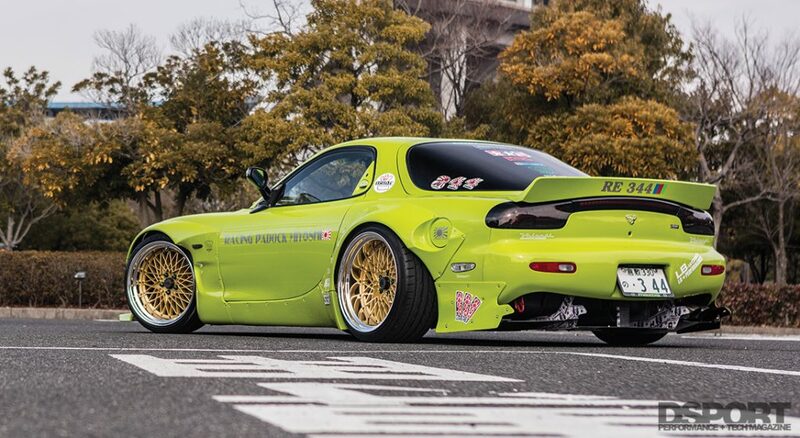 The dash trim, center console and door handles were painted the same green hue to match the shell of the RX7. The dash and the remaining interior components were covered in a tan shade to match the custom upholstered BRIDE Euro Star II reclining bucket seats. 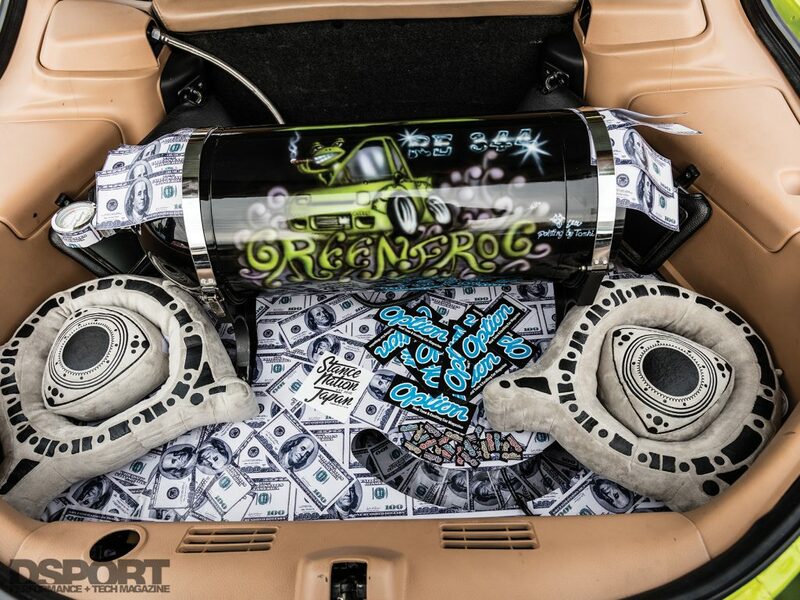 In the trunk area, an airbrushed subwoofer tube made to look like a nitrous oxide bottle shares the space with more one hundred dollar bill stickers, carried over from the engine bay. 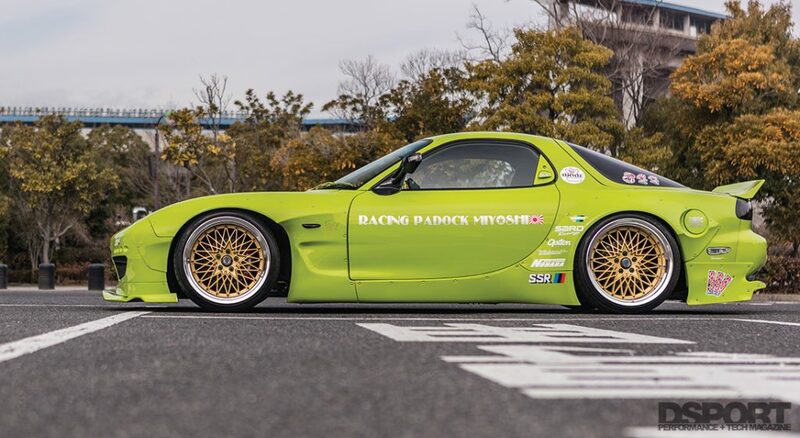 Although all five RX7s were being constructed concurrently, Miyoshi managed to finish the RE344-01 build in time for its debut at the Mazda Fan Festival held at the Okayama International Circuit. The car garnered significant attention and soon earned a spot on the cover of Option Magazine. Throughout the year, the RE344-01 made several more appearances, including a car show in Tokyo and eventually, at the 2016 Tokyo Auto Salon. Although the RE344-01 has received significant exposure and coverage domestically and internationally, Miyoshi-san hinted at yet another evolution to this build. Miyoshi’s FDs had garnered a lot of attention, including that of Miura-san. Hence, you can expect to see TRA Kyoto’s new Rocket Bunny Version 2 body kit to make its first appearance on the RE344-01 in April 2016. Miyoshi plans to redo the interior as well, which will make the reintroduction of this demo car a grand one. Stay tuned.